Shore Vascular & Vein Center Blog WHO IS AT RISK FOR VARICOSE VEINS? Vein disease is the most common vascular condition that exists. In fact, diseases of the veins are 10 times more common than diseases of the arteries. The most common type of vein disease that individuals experience are varicose veins. Varicose veins appear as large protruding veins that occur most commonly on the surface of the legs. They can occur in any location of the legs and are often first noticeable because of their typical appearance. Read on for more information on varicose vein removal Ocean County NJ. Varicose veins are typically caused by an underlying condition, known as venous reflux disease or venous insufficiency. 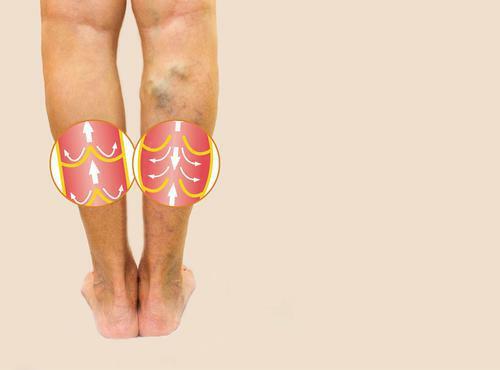 This term refers to non-functioning, or weakened, valves in veins which run lengthwise in the legs and are often connected to the veins which become varicose. When the valves do not function properly, this causes blood to pool in the lower portion of the legs. As the blood pools, the pressure within the veins increases and they begin to enlarge and swell over time. This causes the characteristic appearance of bulging veins in the legs. While people with unsightly leg veins often notice how they look, they are actually not just a cosmetic problem. Varicose veins are often associated with a variety of symptoms. Most typically, people describe tired, achy, heavy legs. Skin itching is also very commonly associated with varicose veins. 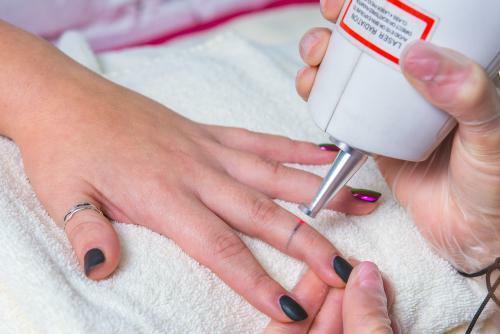 As the condition worsens affected individuals experience worsening of those symptoms and may also experience leg swelling and skin darkening in the lower legs. In more severe cases, people may develop phlebitis (blood clots) or wounds in the lower legs known as venous leg ulcers (VLUs). There are a number of known risk factors for varicose veins. Family history, or genetic risk is one of the most common factors. Individuals with a relative with varicose veins are at a higher risk. Increasing age is another important risk. It is estimated that as many as 25% of individuals will experience some degree of varicose vein disease within their lives. Occupations or lifestyles that involve long periods of sitting in one place or standing are also at significant risk. Pregnancy is another well recognized risk factor. Often, varicose veins that develop during pregnancy will improve after delivery of the baby. However, many women will see further worsening with subsequent pregnancies and the condition may persist long-term. Finally, being overweight puts one at an increased risk of varicose veins and venous insufficiency. At Shore Vascular & Vein Center, all procedures are performed by Dr. Jeffrey Gosin, a Board Certified Vascular Surgeon with over 20 years of experience with thousands of successful vein treatment procedures. We treat varicose and spider veins with minimally invasive procedures, such as ClosureFast (Venefit), sclerotherapy, microphlebectomy, Excel V laser, and other treatments. We specialize in the latest state-of-the-art techniques. If you are experiencing the discomfort or appearance of unsightly varicose veins or spider veins, treatment is easier than you might realize. Shore Vascular & Vein Center and Aesthetic Laser Center is the premiere center for the treatment of vascular conditions, serving individuals in Atlantic County, Cape May County, Cumberland County, Ocean County and the surrounding areas in southern New Jersey. Call (609) 927-VEIN (8346) to schedule a consultation or visit us on the web at www.GetGreatLegs.com.